Climacool keeps you cool and dry in warm weather. Mesh insert on back leg; Ribbed insert on lower back leg. Woven Mexico crest on leg. 3-Stripes on sides; adidas Badge of Sport screenprinted on leg. 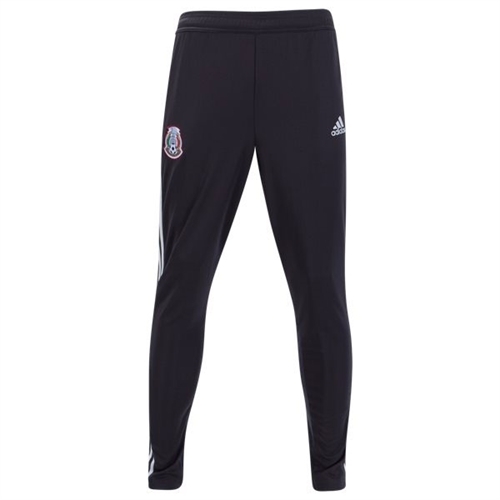 Our adidas Mexico Training Pants 2018 support the Mexican national team. They feature ventilated climacool® to keep you cool when you warm-up or train. or a slim fit, these men's training pants have ribbed inserts on the lower back leg, plus strategically placed mesh ventilation for cooling. They're finished with a woven Mexico crest.